Dolphin Swim Hawaii Oahu Island is Right Here! Dolphin Swim Naples Floirda Daily Tours. Why miss this dream opportunity?!! Other Dolphin Facilities Around the World! 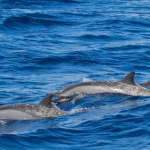 The Dolphin Swim … Take the Plunge! Swim with the Dolphins – Miami The Dolphin Swim in Miami is fun for everyone! You Ask, “Where Can I Go Swim with Dolphins in Florida”? Swim with Dolphins Florida Daytona Beach in Nearby St Augustine Beach!